Category 5. Only the most powerful of the most powerful storms on Earth reach this ominous peak. It’s a designation that occurs when hurricanes achieve a highly destructive wind strength greater than 156 mph. Usually relegated to late season storms that form and strengthen when the ocean surface temperature is at its hottest, it is a very, very, very rare event to see any storm approach Cat 5 status at the start of hurricane season. Water temperatures are typically not high enough to support such a monster event so early. 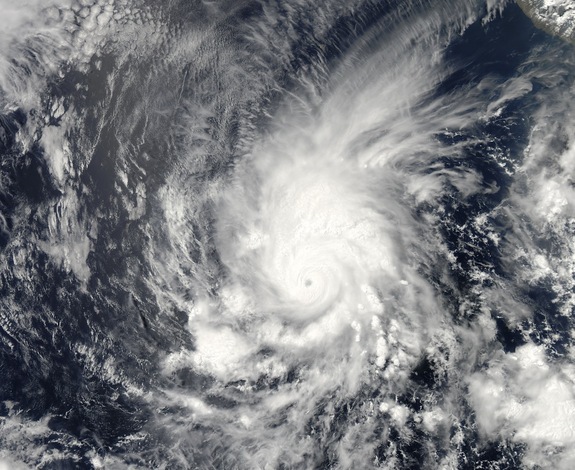 But this Sunday, just six months after the Western Pacific spawned Typhoon Haiyan, the most powerful storm ever to strike the land, the three-day-old hurricane Amanda raged to just shy of Cat 5 status in the Eastern Pacific. 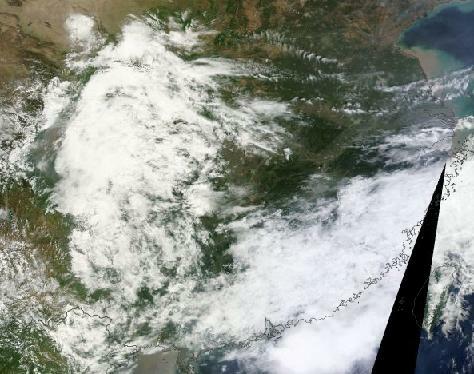 Peaking at a maximum sustained wind speed of 155 mph, the storm teetered at the edge of highest intensity category even as it roared its way into the record books as the mightiest storm ever recorded for this region of the world in May. By comparison, the storm Amanda beat out, Adolph, was also a rather recent event, forming on May 25 of 20o1 and reaching a peak intensity of 145 mph on May 29th. Hurricane season in the Eastern Pacific starts on May 15. 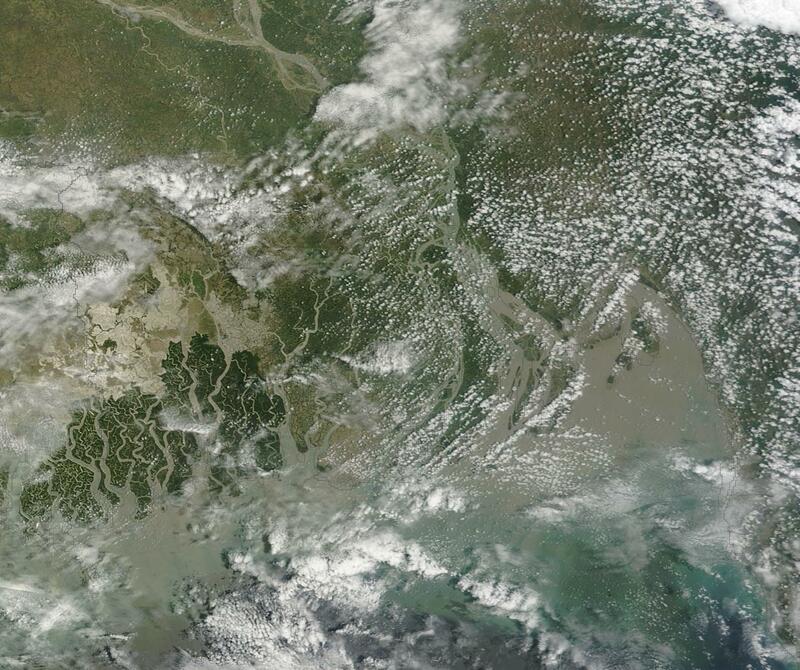 Amanda began to gather just four days after, as a tropical disturbance, on May 19th. The storm gradually gained strength as it drifted north and west into extraordinarily warm waters that ranged from 1 to 3.6 C above typical temperatures for this time of year. 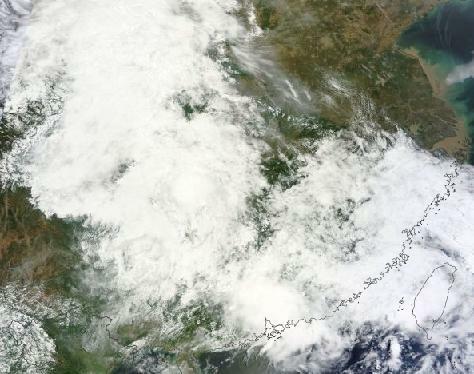 By Sunday, May 25, the storm had exploded to just shy of category five status. Extreme heat intensity fueling Amanda came from a Pacific Ocean exploding with warmth. The equatorial Pacific was just tipping into the hot ocean surface event that is El Nino even as overall Pacific anomalies ranged near 0.8 C above the, already hotter than normal, 1979 to 2000 average. The net result was that Amanda was fueled by sea surface temperatures in the range of 27 to 30 degrees Celsuis with hurricane-supporting warmth pushing as far as 50 meters into the depths. As a result, cool ocean water upwelling through Ekman pumping had far less effect on this storm than is typical for early in the season when the sun’s rays usually have not pushed warmth so deep. Hurricanes are nothing if not ocean heat and moisture engines. The storms feed on hot air rising off the ocean surface, and their cyclonic action churns the waters below them eventually limiting their intensity as the strongest storms dredge into cooler waters. 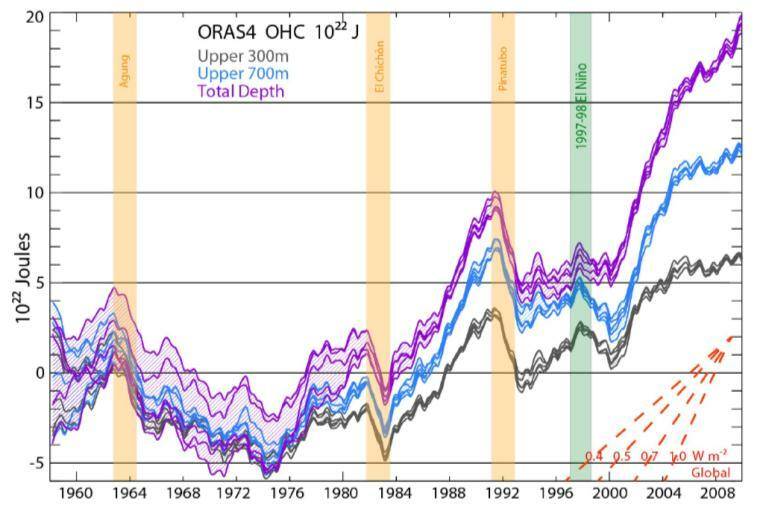 But with human warming, both the ocean surface as well as the waters far below show ever increasing heat potentials. This heat is nothing if not high-efficiency energy for oceanic, warm core cyclones. Amanda’s anomalous intensity was, thus, no accident. Instead, it was directly related to the extreme ocean heating that is an attribute of human-caused warming. The danger here is not only for more intense storms and for more intense storms coming earlier and earlier in the year, it is also for a general lengthening of the period during which these powerful storms emerge. The risk, therefore, is that hurricane season will extend deeper into the Spring and further into Fall for both the Eastern Pacific and the Atlantic. And during this ever-growing storm year the higher heat values increase the likelihood of monster storms reaching and exceeding category five strength. The currently explosive Western Pacific may well foreshadow events for other regions of the world. That volatile storm zone already sees some seasons featuring year-round hurricanes and tropical storms. And the already intense cycle there is also likely to strengthen as the oceans continue to warm. 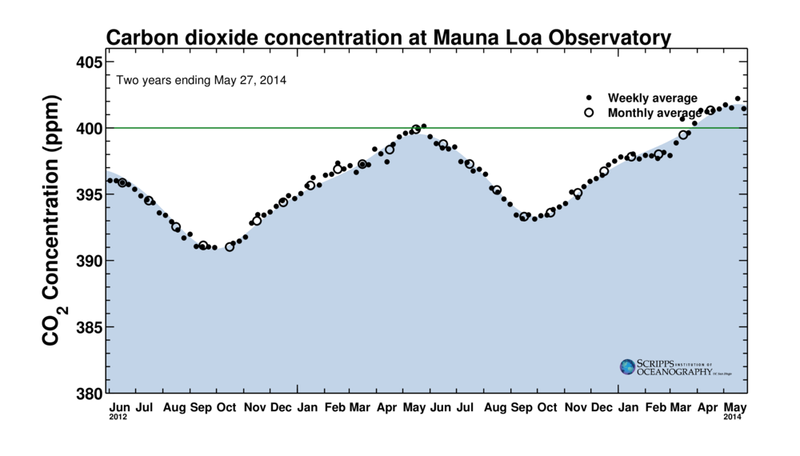 During 2014, human CO2 forcing continued its long march toward ever-more dangerous and climate-damaging levels. 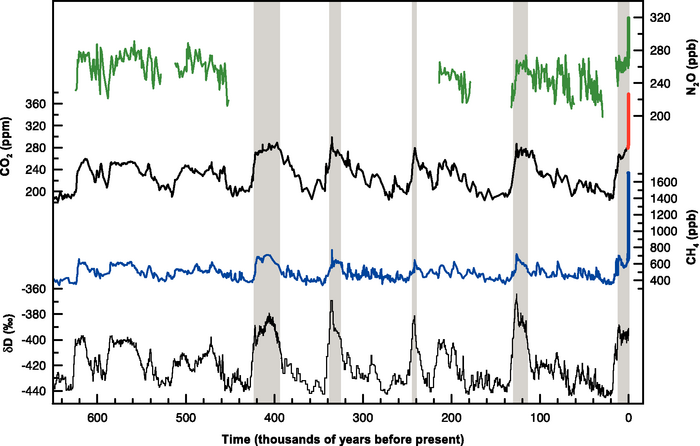 By the peak month of May, global CO2 had ranged well above the 400 parts per million threshold, catapulting Earth at raging velocity toward climate and atmospheric states not seen in at least 3 million years. According to May readings from the Mauna Loa Observatory, the more volatile hourly measures jumped as high as 404 parts per million while daily and weekly averages tended to settle between 401.4 and 402.3 parts per million. Given these trends, overall CO2 levels for May of 2014 are likely to peak at near or just below the astronomical 402 ppm threshold. CO2 levels near 400 parts per million are enough, according to our developed understanding of paleoclimates, to increase global temperatures by between 2 and 3 degrees Celsius, to melt Greenland, West Antarctica and a portion of East Antarctica, and to raise sea levels by 75 feet if sustained over a long term. 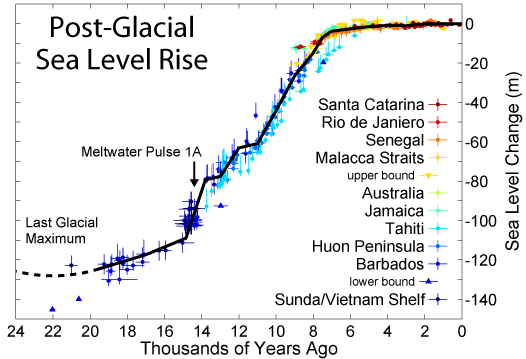 According to recent glacial research, these very high levels, when combined with additional greenhouse gas forcing and concurrent ocean and atmospheric warming have already been enough to destabilize or push large portions of these major ice systems into irreversible collapse. Measured from peak to peak, the rate of atmospheric increase is likely near 2.5 to 3.0 parts per million per year over the two year period. Averages over the whole range of the past two years show increases on the order of 2.4 parts per million per year — a challenge to recent rates of increase near 2.2 parts per million a year since 2000. Steadily ramping rates of atmospheric CO2 accumulation are driven by extreme global industrial, agricultural, and land-use emissions. According to the Global Carbon Project, 2013 saw total global CO2 emissions in the range of 36 billion metric tons. This emission was 2.1 percent higher than the 2012 level and about 60 percent higher than the 1990 level at around 22 billion metric tons of CO2. Such an extraordinary pace of emissions puts severe strain on both atmospheric carbon levels and on carbon sinks around the globe. The resulting risk of such a strong continued emission is that global sinks and stores may soon become sources (see methane monster below). An issue of amplifying feedbacks that grows ever more perilous with each passing year. 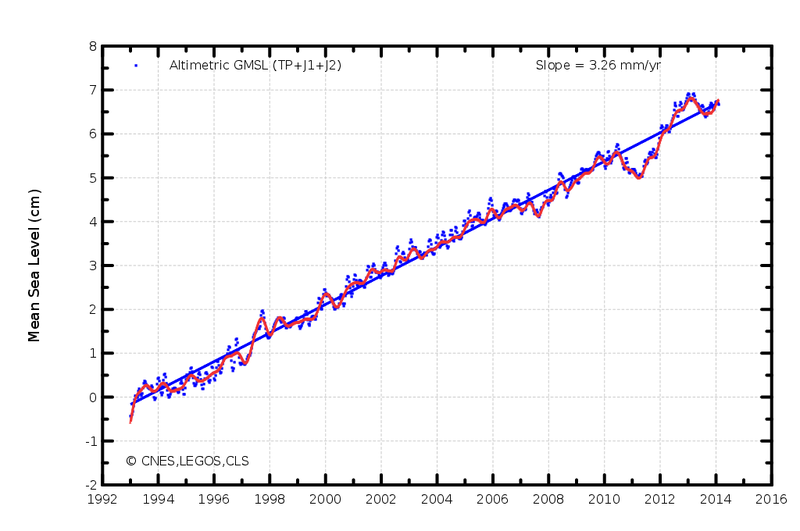 Unfortunately, CO2 is not the only human emission forcing global temperatures rapidly higher. In addition, methane, nitrous oxide, and numerous other greenhouse gasses also make their way into the atmosphere each year through industrial sources. If we combine all these other greenhouse gasses, the total CO2 equivalent carbon emission is now at around 50 billion metric tons each year. A veritable mountain of greenhouse gasses dumped at a pace more than 150 times that of volcanic emissions each and every year. Overall, the total greenhouse gas forcing from all these sources is now likely in the range of 481 parts per million of CO2 equivalent. 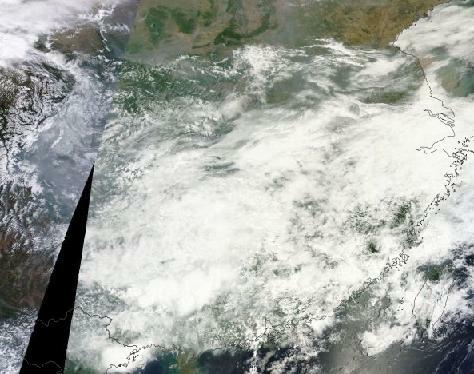 This immense heat forcing, were it to remain in the atmosphere long-term, is enough to raise global temperatures by 3-4 C and to melt enough ice to raise sea levels by at least 120 feet. It is also enough, with only two more years of current emissions, to likely lock in an inevitable, irreversible and extraordinarily disruptive increase of 2 C in global temperatures for this century alone. The most potent and troubling of these additional greenhouse gasses is methane. Over the course of 20 years, methane is about 80 times as powerful a heat trapping gas as CO2 by volume. And though atmospheric methane levels are far less than comparable CO2 levels (at around 1.8 parts per million, or 1/3 the total atmospheric heat forcing of CO2), there is cause for serious concern. For not only is the industrial emission of methane increasing, primarily through the use of very damaging hydraulic fracturing technologies (fracking), the global emission of methane from the Earth System also appears to be ramping higher. Over recent years, rapidly thawing permafrost and warming oceans both around the world and, particularly, in the Arctic show signs of venting an increasing volume of methane into the atmosphere from terrestrial sources. Though annual official tracking of total Arctic methane emissions at this point is practically non-existent, recent research allows for rational estimation. 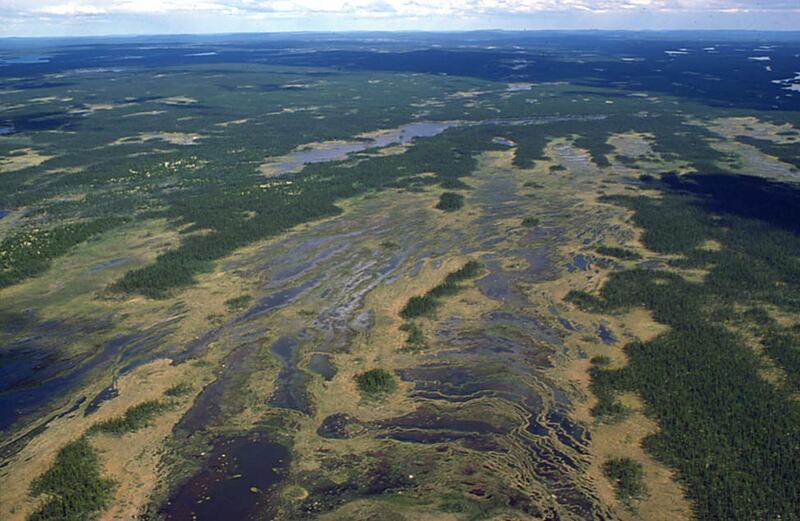 Taking into account known emissions from permafrost and the East Siberian Arctic Shelf, and adding in expected emissions from the rest of the thawing Arctic, methane emissions for the entire region are likely around 40 teragrams per year, or about 7% of the global total. This emission is equivalent to that of a major industrial nation and initial indications are that it is growing. 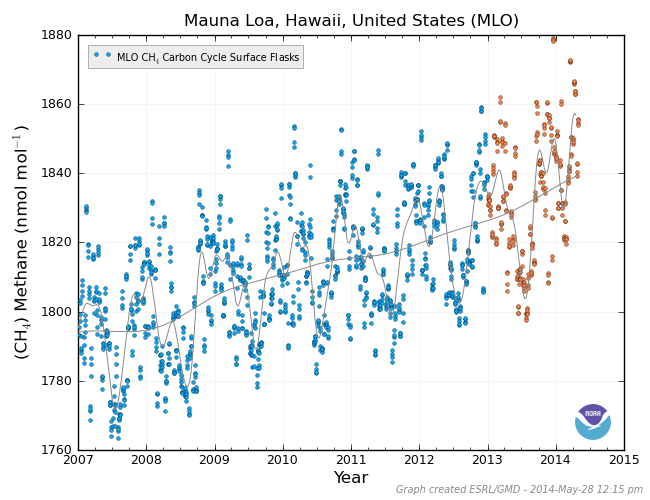 The result of combined increases in the human methane emission and in the Earth System emission has been enough to continue to push global levels higher with Mauna Loa readings breaching the 1840 part per billion average by early 2014. What is even more troubling is that the Earth System methane store, composed of both permafrost methane and methane hydrate at the bottom of the world ocean system, is immense. In total, more than 3,000 gigatons of carbon in the form of methane may be at risk to eventually hit the atmosphere as the Earth continues to warm under the current human forcing. A very large store that could easily multiply the current rate of Earth System methane release many times over. One that represents a clear and present danger for a potentially very powerful amplifying heat feedback to an equally extraordinary initial human forcing. 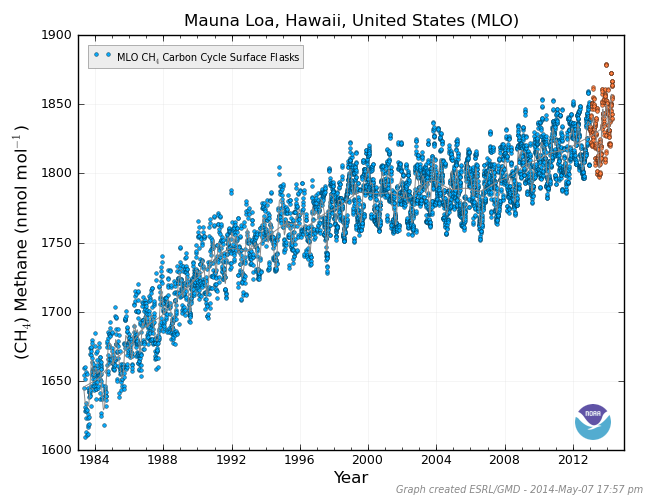 What Does a World at 400 PPM CO2 Look Like Long-term? On May 22nd, 2014, global sea surface temperature anomalies spiked to an amazing +1.25 degrees Celsius above the, already warmer than normal, 1979 to 2000 average. This departure is about 1.7 degrees C above 1880 levels — an extraordinary reading that signals the world may well be entering a rapid warming phase. It is very rare that land or ocean surface temperatures spike to values above a +1 C anomaly in NOAA’s Global Forecast System model summary. 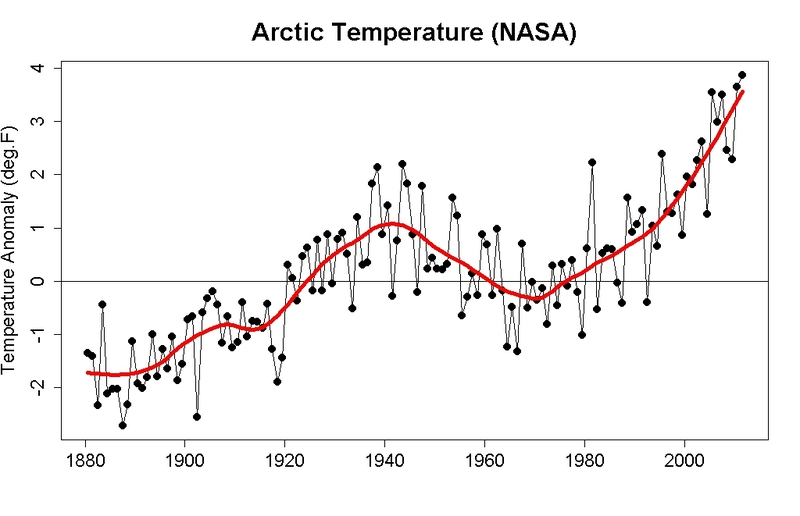 Historically, both measures have slowly risen to about +.35 C above the 1979 to 2000 average and about +.8 C above 1880s values (land +1 C, ocean +.6 C). But since late April, sea surface temperatures have remained in a range of +1 C above 1979 to 2000 values — likely contributing to NOAA and NASA’s temperature indexes hitting first and second hottest in the climate record for the month. During May, ocean surface heating entrenched and expanded, progressing to a new high of +1.17 C last week. As of this week, values had exceeded +1.2 C and then rocketed on to a new extreme of +1.25 C (See Deep Ocean Warming is Coming Back to Haunt Us). Should such trends continue, and with little more than a week left for this month, May of 2014 is likely to set a new record for global surface temperatures. And with El Nino continuing to tighten its grip on the Pacific, potentials for new all-time record high global temperatures for 2014 keep increasing. Regions currently showing much warmer than normal sea surface temperatures include a broad swath of extreme +1 to +4 C readings from Baja California northwest toward the Bering Sea, an expansive zone of +1 to +3 C readings from the coast of southern South America and across the Pacific Ocean to New Zealand and Australia, almost the entire far South Atlantic between the East Coast of South America and the West Coast of Africa with very hot +1 to +4 C anomalies, almost the entire sea ice edge region in the Arctic with +1 to +4 C readings including a hot spot near the Nares Strait showing extraordinary +3 to +4 C departures, and two large areas of the Equatorial Pacific — one west of New Guinea and the Solomon Islands and the other off the West Coast of South America — showing +1 to +3.5 C departures. Significant cooler than normal areas are confined to the Northwest Pacific and a stretch of the Gulf of Mexico off Texas. Another cool zone off of Greenland is likely the result of regional surface water cooling due to ongoing and increasing glacial melt, north wind bursts pushing sea ice out of Baffin Bay, and an expanding zone of fresh surface waters flowing from West Greenland into the North Atlantic. Overall, the global ocean surface is very, very hot, likely near or above all-time record high temperature departures. Trends toward El Nino continued in the Pacific with the current strong, high-temperature Kelvin Wave persisting through its upwelling phase. By May 18, +3 C or higher temperatures had reached the surface off Western South America with +4, +5 and +6 C readings only about 25-60 meters below. Upwelling from 140 East Longitude to 130 West Longitude and down-welling off the coast of South America also continued to flatten the 20 C isotherm, providing a west-to-east pathway for warm water propagation. Over the past week, Nino zones showed either maintained temperatures, very slight cooling, or surface temperature increases. The Nino 4 zone in the Central Pacific remained at +0.8 C even as the key Nino 3.4 zone in the East-Central Pacific showed slight cooling to +0.4 C. Nino 3 in the Eastern Pacific continued to warm, hitting a +0.6 C positive anomaly. Meanwhile, readings directly off the coast of South America rose to a rather high value of +1.3 C.
Trade winds remained weak or ran west-to-east along the equator. Though no strong counter-trade west winds were visible over the past seven days, numerous areas of weak west winds emerged. Overall, the trades in this large zone were confused and erratic, harried by the development of low pressure system after low pressure system along the equator. These conditions show an ongoing trend toward an ever-more-likely El Nino by Summer-to-Fall of this year. Sea surface and near surface heat content at high to very high levels during the ‘cool’ upwelling phase of the current Kelvin Wave hint at a Pacific Ocean prepping for a strong El Nino event should favorable weather conditions continue. Extraordinary global sea surface temperature departures in the draw up to this potentially severe event show how sensitive the global system is to any El Nino type warming or movement toward a change in Pacific Ocean temperature states. In short, global temperatures appear to be on a hair trigger to rise. As prominent ocean researcher and climate scientist Dr. Kevin Trenberth presciently noted during recent years — an observed spike in ocean heat content over the past decade may well be coming back to haunt us. Earlier this year the most intense sub-sea Kelvin Wave on record raged across the Pacific Ocean. Driven eastward by a series of strong westerly wind bursts, it traveled just below the surface, running out to collide with South America. By April, it had arrived in the traditional El Nino spawning grounds of the Eastern Equatorial Pacific where it retained an extreme intensity. There it sprawled, snuffing off the cold deep water upwelling that over the past few years has kept surface water temperatures in this critical region slightly cooler than average. And so, from late March through mid-May, the Eastern Pacific warmed. A surface warm pool sprang off the back of this beast, growing even as it continued to gather heat, radiating it back into the atmosphere. By yesterday, temperature anomaly values over this growing region had increased to between 1 and 3 C above average with local spikes up to +3.9 C — a far above normal temperature departure for ocean surface waters, especially near the stable equator. But if trends hold, this is just the beginning. An early start to what could be a record-setting event. Today’s GFS global ocean temperature anomaly map shows the entire Equatorial Pacific well in the El Nino range at +0.60 C. The strong +1 to +3 C or greater hot zone, shown in orange to deep-red, stretches from about 140 West to 80 West Latitude along the equator and shows continued slow intensification. Note that global sea surface temperatures for today are at an extraordinary +1.12 C above already warm 1979 to 2000 values. This marks more than a week of 1 C or greater positive ocean surface temperature anomalies. The very definition of Trenberth’s ocean heat content coming back to haunt us. Meanwhile, NOAA weekly anomaly readings also show continued progression toward surface warming. Overall, the Nino zone 4 in the Central Pacific was at +0.8 C, the Nino 3.4 zone in the East- Central Pacific +0.5 C, the Nino 3 zone in the Eastern Pacific +0.6 C, and the Nino 1+2 zone just off the coast of Equatorial South America a very high +1.2 C. Overall, this shows strong warming over the broad Nino sector with the key Nino 3.4 zone flipping into low El Nino levels this week. The emergence of Nino 3.4 into +0.5 C or greater territory marks the start point for the NOAA El Nino clock. For NOAA to declare El Nino, the Nino 3.4 zone must remain at +0.5 C or above for multiple months running. And forecast models, at this time, show nearly an 80% likelihood of just such an event for 2014. So this week’s readings represent the crossing of a new threshold toward El Nino and certainly warrant further tracking. The extreme Kelvin wave that raged across the Pacific from February through April still appears monstrous even though it has now entered its supposedly cool, upwelling phase. Pressed against the coast of South America, the heat has deflected both upward and downward through the water column. The result is both a continued heating at the surface and a downward thrust of 1-2 C above average water temperatures into the 400 meter below surface zone. And so here we have a continued down-thrust of the 20 C isotherm, priming the Pacific for another west-to east rush of deep ocean heat later this year. Overall, the still amazingly hot Kelvin Wave is upwelling. So it should also be cooling. And it has. A little. But what is extraordinary is the amount of heat it has retained even as it rises. Here we see an enormous slug of 5-6 + C above average water rising as high as 40 meters beneath the surface. Maintenance of this high heat content even while upwelling is an insane feat of heat propagation. Should these readings hit the surface, we really will be witnessing a monster event. 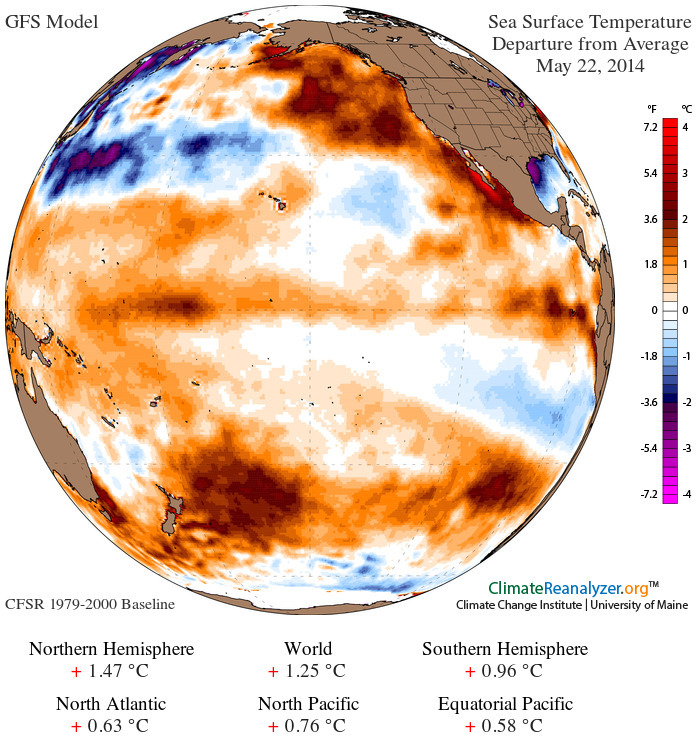 Already, the warming Eastern Pacific appears to be having a broader atmospheric affect. 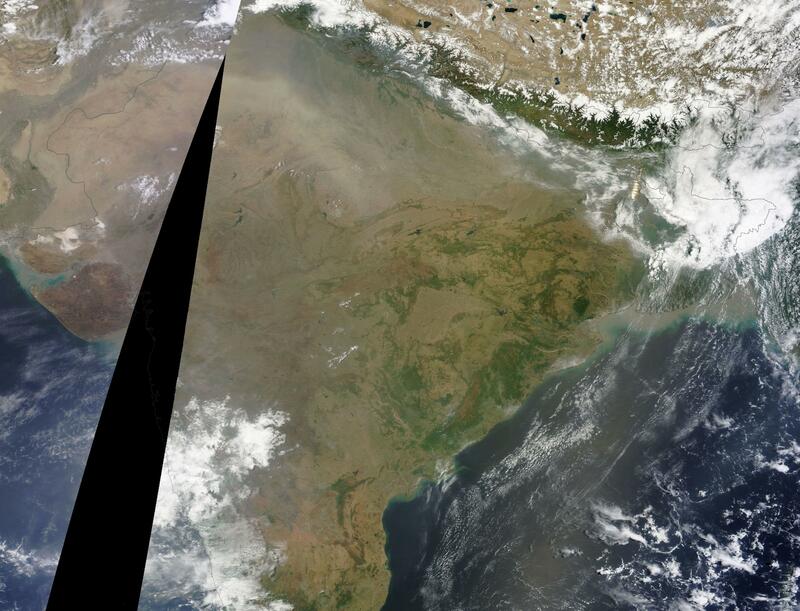 According to NASA, global surface temperatures spiked to their second highest level on record in April. Meanwhile, GFS model analysis shows May daily surface temperature values in the range of +0.7 to +1.0 C or higher above the 1950 to 1981 average globally. A continuation of these high temperatures would be enough to put May at first or second hottest on record and set a trend for 2014 to break global high temperature records last seen in 2010. So the early and not yet fully developed ocean surface heating we are seeing from our developing El Nino appears to have already come back to haunt us. But what we see now is minor compared to what could emerge. With the sub-surface waters remaining so extraordinarily warm even through the upwelling/cool phase of the current Kelvin Wave, the Pacific is now primed for a second hot pulse to feed the monster now rising off South America. The new, reinforcing heat pulse will require another series of west wind back bursts at the surface between 160 East and 170 West Longitude to drive it. And atmospheric conditioning for the development of these winds appears well in play. 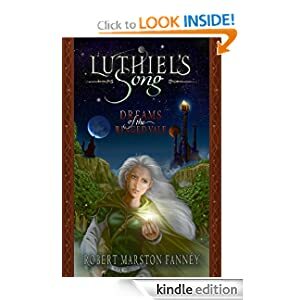 Should it happen, we are likely to get a taste of what Dr. Trenberth really meant. 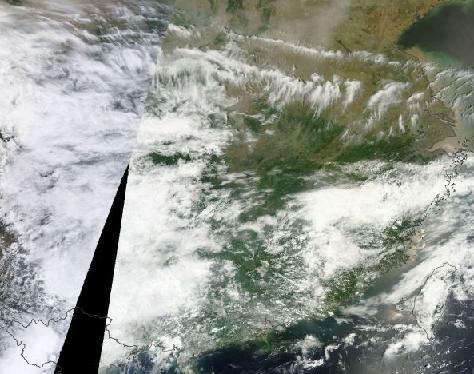 Over the past week, a powerful heat dome high pressure system grew ever-more-entrenched over a region just north of the Caspian Sea. This sprawling high pushed an extreme amplitude ridge pattern north toward Arctic Russia, Scandinavia, and the Kara and Barents Seas. Behind this ridge, toward Central and Eastern Europe, a deep trough dipole pattern developed. 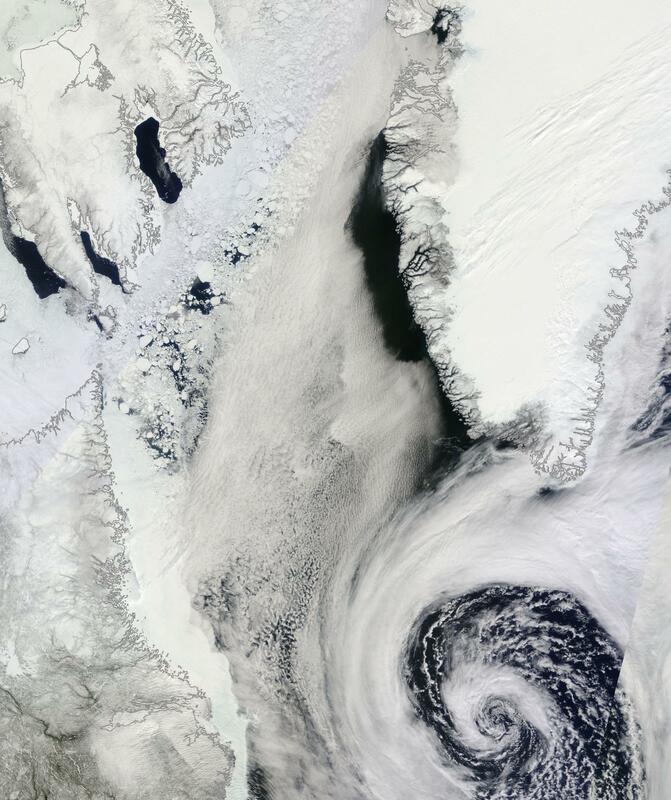 A cold and unstable pit in the atmosphere hungry for storms and drawing in energy from the far-north Arctic near Svalbard. By late Tuesday, the deep pit had fallen down into a cut-off and powerful low pressure system, wringing out the moisture spilling off the heat dome high. 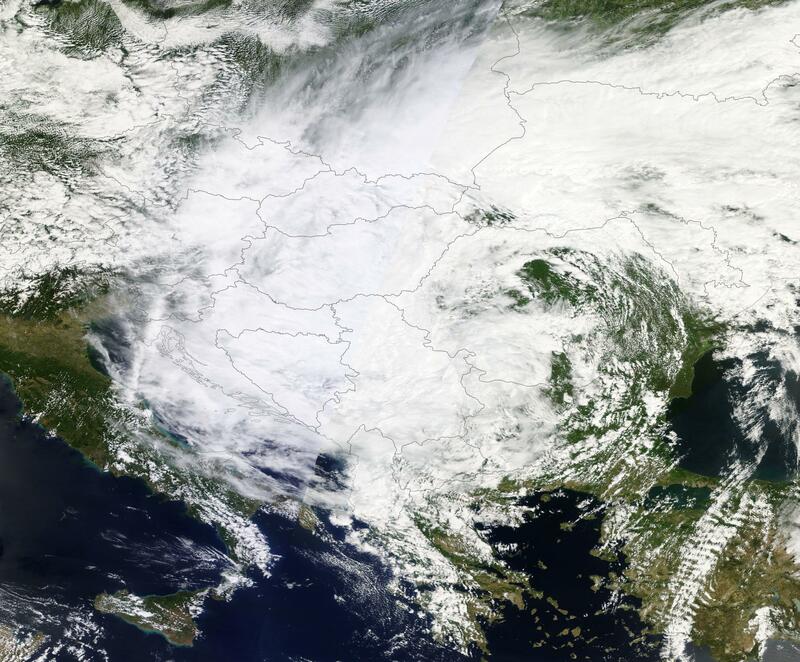 By today, that system had turned into a kind of inland hurricane as it dumped as much as four months worth of rainfall in less than 40 hours over broad sections of Bosnia and Serbia. 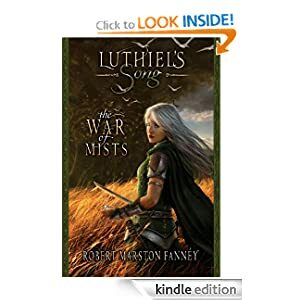 The result was a staggering inundation of water that cut off entire towns, knocked out bridges, left thousands of people stranded and resulted in the loss of at least 5 souls. Flood waters surged through towns and villages, carrying away cars, capsizing homes, and turning streets into torrents. Hillsides collapsed into slurries of muck and the two main north-south rail lines through Serbia and Bosnia were cut off. According to reports from Serbia Independent News, rainfall rates were the highest ever measured in all of the 120 year record. Records in Bosnia also hit their highest levels since measurements began in 1894. Bosnian and Serbian military helicopters scoured the countryside for stranded persons, ultimately evacuating hundreds more. EU troops stationed in the Balkans joined in with trucks and more helicopters, but many roads remained impassable either due to flooding or to heavy snowfall blanketing higher elevations. Almost all schools across the widely impacted region were closed. Unfortunately, the cut-off low pressure system setting off this historic storm is now entrenched and will likely continue to bring severe weather to the region into early Saturday. So relief is not likely to come until the weekend. UPDATE: As of late Sunday, the upper level low remained in place dumping heavy rainfall over the Balkans. The area of major impact expanded into Croatia as nearly fifty souls have now been taken by this extraordinarily extreme event. New update article to follow later today or tomorrow. It’s just mid-May, but a wave of record July-like heat and wildfires is building for California and the US West. A high amplitude Jet Stream wave that has been in place over the US West for more than a year now has resulted in hot, dry conditions throughout this very long period. 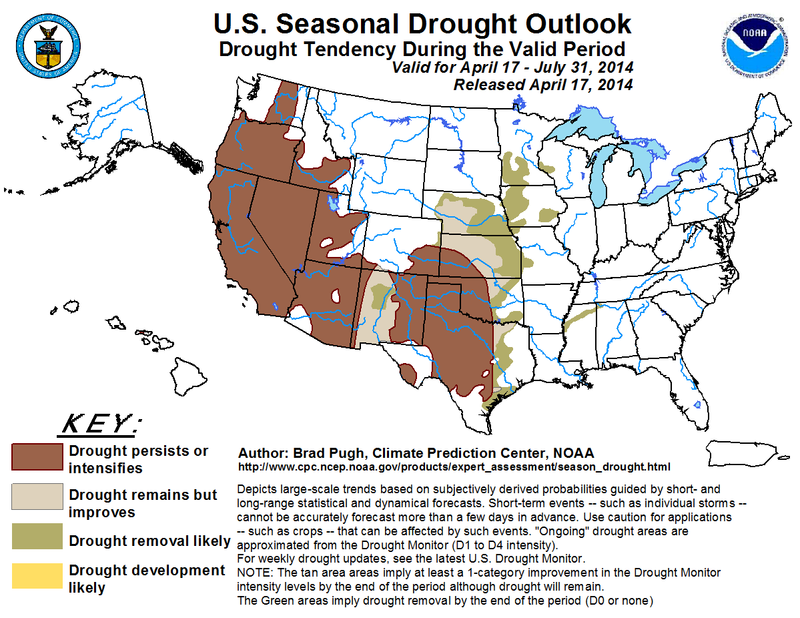 It is an ongoing insult that contributed to the worst California drought in more than 100 years. A set of weather anomalies that continues to leave California and the US Southwest very vulnerable to heatwaves, fires and amplifying droughts as summer continues to emerge. The pattern is essentially stuck — featuring a hot, pole-reaching, wave of the Jet Stream continuously rising over the US West, Western Canada and Alaska, and diving deep into the Arctic. It is a condition climate researchers such as Dr. Jennifer Francis attribute to an ongoing erosion and degradation of Northern Hemisphere sea ice. And the predictions of Dr. Francis appear to have born out in both recent observations and cutting edge scientific research showing how sea ice loss has shoved the storm track away from California and the US Southwest (see how Climate Change Made the California Drought Worse). 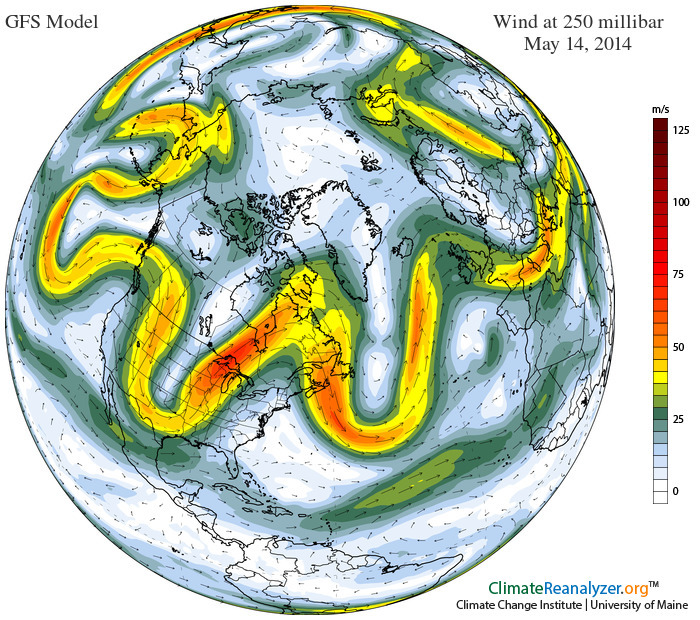 In any case, it is highly unusual for such an intense Jet Stream pattern to remain fixed for so darn long. In recent months, the strength of the heat flowing up through the Jet Stream wave has been intensified by a growing pool of anomalously warm water to the south in the Eastern Pacific. This gathering pool of intensifying heat is a signal for the coming of El Nino. Come winter, a strong El Nino might bring a radical and violent switch of California weather to much more rainy conditions. But, for now, it lends further energy to a gathering and extraordinary May heatwave for the US West Coast. It is a flood of heat that is expected to bring 90 to 100 degree plus temperatures for a broad zone from southeast California to the coast and on northward through the Central Valley. And, already, the effect is being felt for some regions. Yesterday, Van Nuys Airport in Los Angeles shattered its previous record high temperature of 91 for the date as temperatures rocketed to 93 F. Today, the forecast is for 98. Tomorrow, 100. Friday 96. This forecast is for a string of four consecutive all-time record highs during a period in which temperatures hit an extreme range of 18-25 F above the typical daily peaks of 75 for this time of year. Sacramento, meanwhile, is expected to tie the all-time high today at 100 F after reaching the same reading yesterday. Tomorrow’s forecast is for a scorching 101 F. Typical average highs for this time of year in Sacramento are around 80 F.
Rising Santa Anna winds in the range of 40 to 60 mph with maximum gusts as high as 87 mph in the San Diego Mountains combine with relative humidity values below 10% and extreme heat to create a high potential for wildfire outbreaks. As a result, red flag fire hazard warnings have been issued for a zone along California’s southwest coast and into the south-central valleys. By Tuesday, two large fires — one in Bernardo, San Diego and a second in Miguelito, Santa Barbara — had already erupted and consumed hundreds of acres. The Bernardo fire, by early today, had rapidly expanded to cover more than 1,550 acres forcing the evacuation of over 20,000 people and 1,200 buildings. Three schools and one military base were also evacuated as fires raced through valleys to threaten expensive homes in developments on local ridges. As of late morning, the fire was only 25% contained. The Bernardo fire, as of this writing, posed a severe threat to many highly populated areas forcing numerous evacuations and even the closing of El Camino Drive. Given conditions on the ground this is a very dangerous situation in which the fire may undergo rapid expansion. 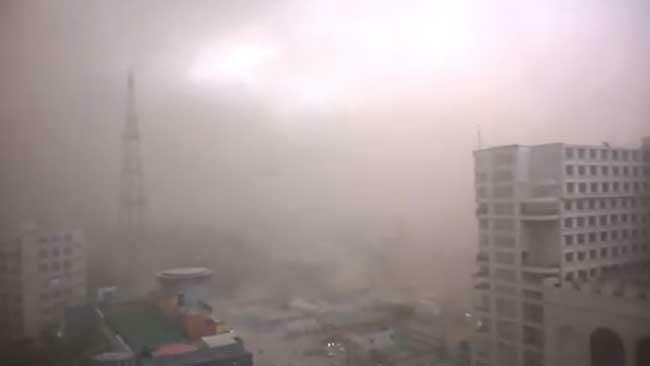 Up-to-the minute photos by local residents show rapidly deteriorating and dangerous conditions (see ABC 10’s live feed). People in the area should exercise extreme caution and pay close attention to local fire/weather bulletins. The Miguelito fire, on the other hand, had grown to 600 acres in just one day as it threatened local ranches. Firefighters had, by late morning, managed to contain 50% percent of that blaze. The most recent record heat spike is likely to only exacerbate current dire drought and fire issues for the state. Local reservoirs remain very low and various water rationing and restriction regimes have already been imposed in numerous districts. Atmospheric moisture levels are also very low resulting in little in the way of evaporative cooling once heating intensifies. The result is a high risk for continued record heat, drought, and fire as spring proceeds into summer. Though highly anomalous and extreme for early May, the most recent California heat spike is likely to abate by Friday and Saturday as an onshore wind flow and slight weakening of the ridge is expected to bring cooler conditions. Ongoing high amplitude Jet Stream waves, however, are expected to continue to propagate over the US West Coast with the ridge predicted to again re-strengthen later next week. The added heating of the atmosphere as spring progresses into summer is likely to further exaggerate this already extreme set of conditions. So the atmosphere is rigged for further record heat spikes and the potential for long periods of record or near-record conditions going forward. UPDATE: By noon, Pacific time, the Bernardo Fire had expanded to 1680 acres and spawned two smaller fires in the San Diego region sending residents in Carlsbad and Poinsettia scrambling. It is difficult to express how dangerous this situation has become. Risk for severe intensification of these fires is very high due to extreme temperatures, humidity in the range of 6% in San Diego, and very strong Santa Anna winds. By early afternoon, the multiple blazes continued to expand spurring numerous additional evacuations, cutting off power to homes and businesses, and causing traffic snarls. Emergency authorities urged residents to remain at home or work unless ordered to evacuate to prevent congestion and to speed egress from affected areas. 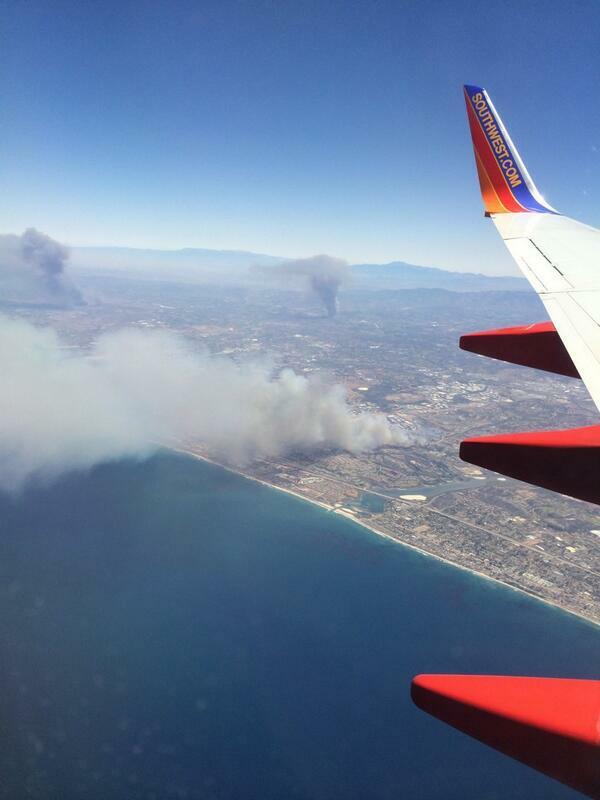 UPDATE: By 1:30 PM PST, the Carlsbad Fire had spurred another 15,000 evacuations in San Diego. As of this time, the effect of the third fire is unknown. UPDATE: Blaze near Poinsettia has resulted in an additional 11,000 evacuations. Sporadic reports coming in of three more fires now underway. 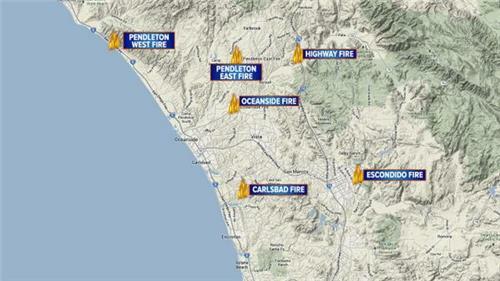 UPDATE: 30 homes reported burned in Carlsbad as of 2:00 PST. Unconfirmed reports of 103 F temperature readings in central San Diego. UPDATE: Local elementary school apparently damaged in Carlsbad Fire. UPDATE: Five of the six fires burning in San Diego include: The Carlsbad Fire, The Oceanside Fire, The Highway Fire in Fallbrook, The Camp Pendleton Fire, and the Bernardo Fire. 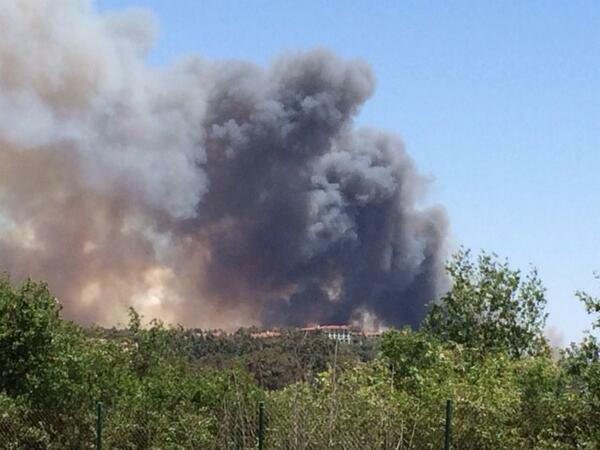 UPDATE: New fire reported in San Marcos, bring the total number of San Diego fires to 8. UPDATE: Unconfirmed new fire near Black Mountain (5 PM PST). If confirmed, this brings the total to 9. 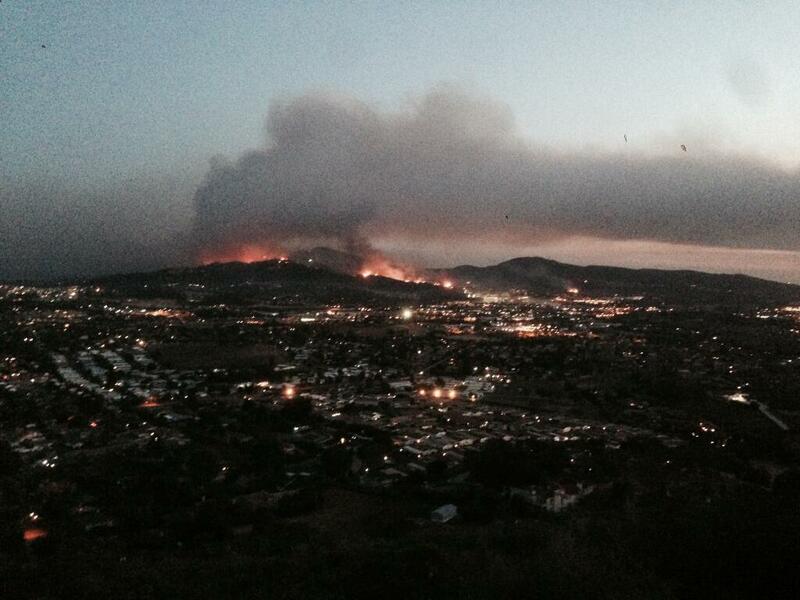 UPDATE: The San Marcos Fire has prompted yet one more major evacuation. Thousands of residents fled the fire only to get bogged down in gridlock near the blaze. Firefighters are now on the ground to protect San Marcos residences but air support appears delayed, possibly due to multiple fires resulting in a thinning of resources. UPDATE: Large office building now ablaze due to engulfment by the Carlsbad Fire. Unconfirmed reports of windswept embers falling over portions of San Diego. UPDATE: National Weather Service shows 4+ all-time record highs for the day broken in the San Diego region with readings topping out between 93 and 99 degrees. Warmest thoughts and wishes go out to both the brave firefighters and to all the families in the affected regions. Please stay safe! UPDATE: San Diego County will hold a news conference at their County Emergency Operations Center (EOC) at 8:30 local time. UPDATE: According to reports from the California Fire Service, the Tomahawk Fire has now burned over 6,000 acres and is now encroaching on Camp Pendleton. UPDATE: 9,196 acres confirmed burned in San Diego County today. UPDATE: The San Marcos Fire has spread to cover 500 acres is just a few hours. FINAL UPDATE: Firefighters gained ground last night against the 9 fires that sent tens of thousands of San Diego residents scrambling yesterday. 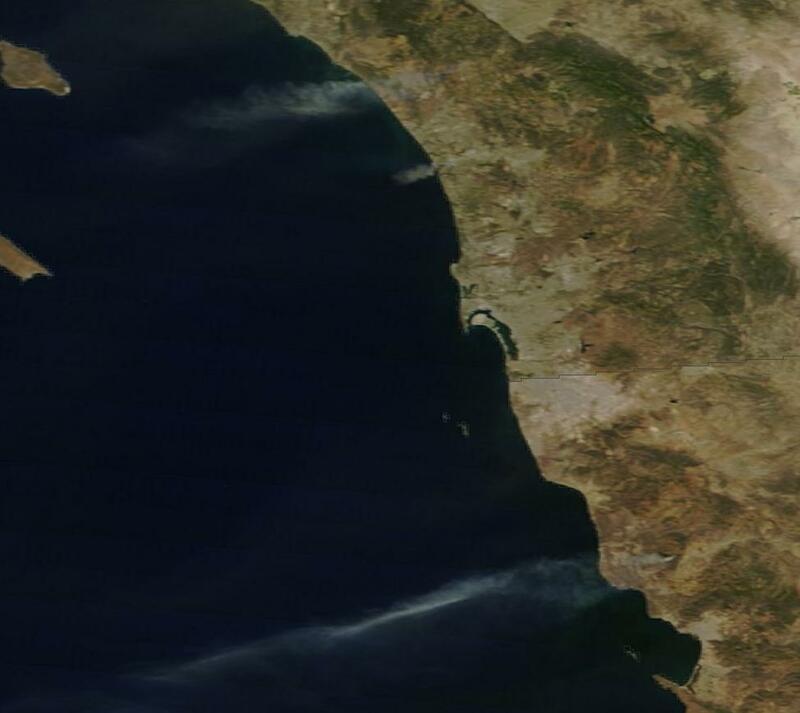 The Carlsbad Fire, the most destructive of the outbreak, was 60% contained as of early this morning. Another destructive blaze, the San Marcos Fire, had expanded to 700 acres by morning as firefighters focused resources to contain it. In total, more than 10,000 acres in and around San Diego have burned and more than 25 buildings have been destroyed. Thankfully, there is no report of loss of life. This is May, this is unbelievable. This is something we should see in October. I haven’t seen it this hot, this dry, this long in May. 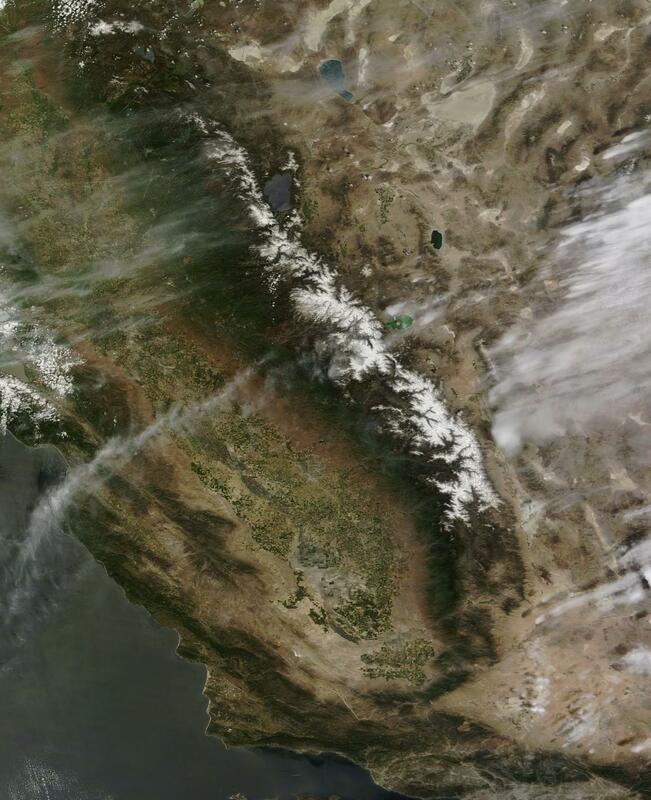 Human-caused climate change, again, appears to have shown its awful hand in California this spring. As firefighters and residents alike return to some rough allegory of normalcy this morning, dangers remain high. Record and unprecedented heat and dryness is, once more, settling over the region today, bringing with it the danger for more fires. 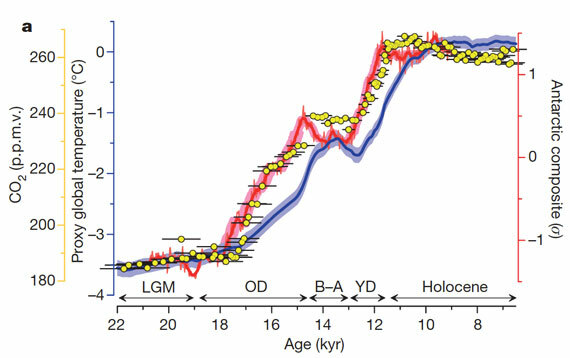 Human-caused heat forcing. From the top of the atmosphere to the bottom of the world’s oceans, there’s no safe place to put it. For where-ever it goes it sets in place conditions with the potential to unleash gargantuan forces. 481. Minus aerosols, that’s the equivalent CO2 heat forcing humans have now built up in the atmosphere due to a constant and rapidly rising greenhouse gas emission. By itself, this heat forcing, were it to remain in the world’s atmosphere and ocean system, is enough to melt all of West Antarctica, all of Greenland, and part of East Antarctica pushing sea levels higher by between 30 and 120 feet or more. Inertia. Namely, the massive inertia in the Earth climate system creating a perceived ability to resist rapid destabilization due to the human insult. It’s the one hope scientists and policy-makers alike pinned on the possibility of bringing human greenhouse gas emissions down in time to prevent radical and damaging change. 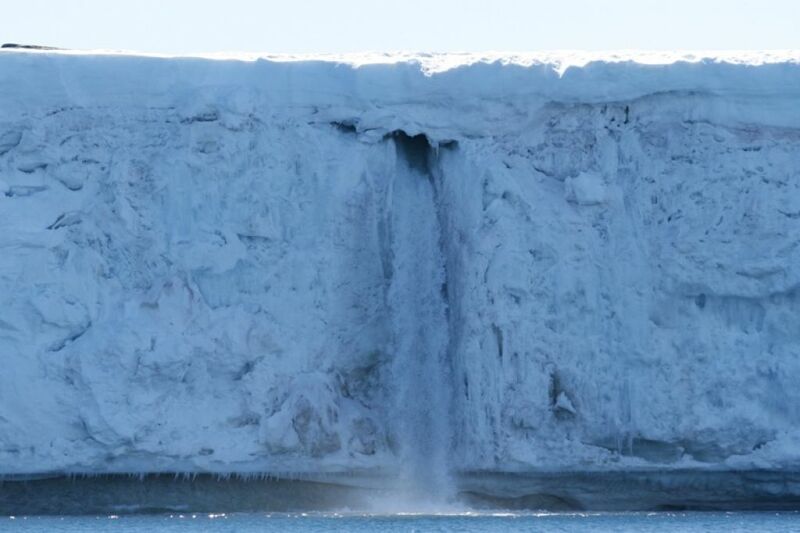 Rapid glacier and ice sheet destabilization. What, by 2014, became understood as the new reality, as an ever-increasing number of the world’s glaciers displayed far less resilience than previously anticipated and were set in motion to an unstoppable and catastrophic reunion with the world’s oceans by human warming. 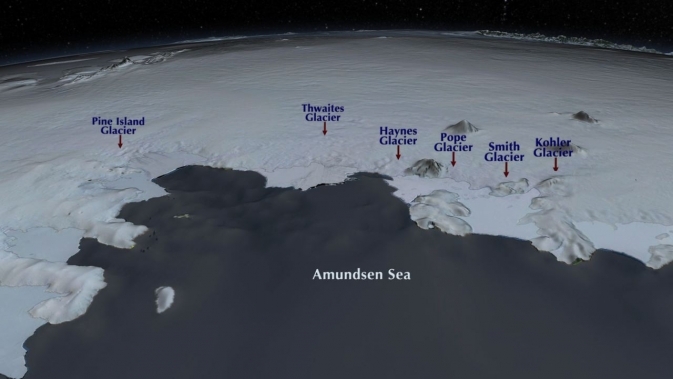 Now, a new NASA study finds that six of West Antarctica’s largest glaciers are in a state of irreversible collapse. These add to a growing tally of destabilized glaciers from Greenland to Svalbard to Baffin Island to Antarctica and beyond which, all together, show that at least a 15 foot sea level rise from human-spurred glacial release is now inevitable. At issue are six massive glaciers representing more than 1/3 of total the ice mass of West Antarctica and what could well be called its entire weak flank. As early as 1968, this massive section of West Antarctica was listed as unstable. Since that time, human heat forcing has pumped higher and higher volumes of warmth deep into the Pacific Ocean. The warmth pooled in the depths, building, even as it rose up beneath Antarctica. Ocean circulation and Ekman pumping along the coast of Antarctica brought this warm water up from the depths where it traveled along the continental shelf zone to encounter Antarctica’s mile-high glaciers. The warm water did its work, unseen, for a time. Eating away at the bottoms of these glaciers and speeding their slide to the sea. The increased glacial melt and related fresh water outflow put a kind of cold water cap on the Southern Ocean around Antarctica. This cold cap gave the ever-warming bottom waters no outlet to the surface and so the heat concentrated where it was needed least — at the bases of massive ocean-fronting glaciers. 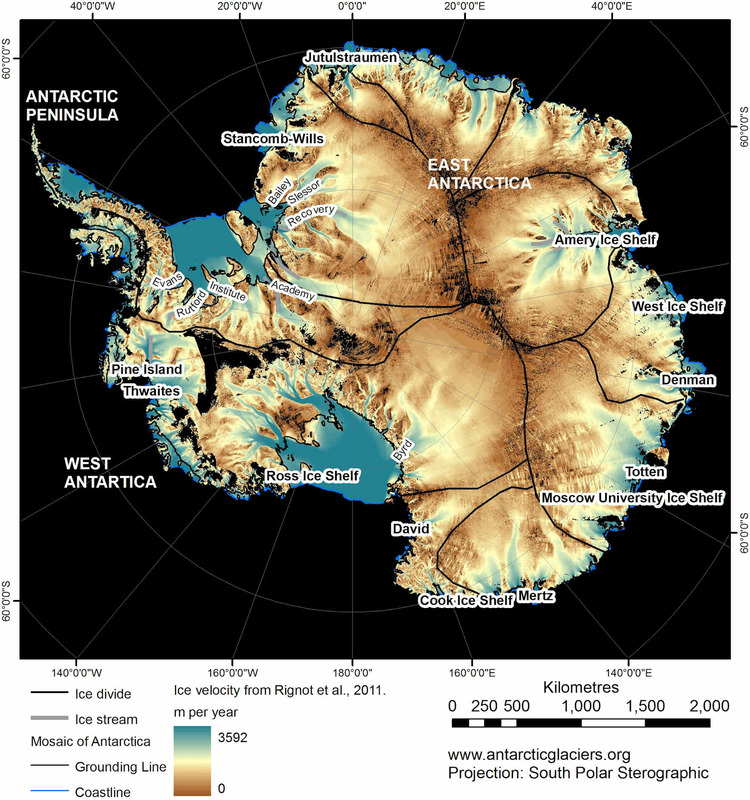 One section of West Antarctica, composed of the six glaciers now listed as undergoing irreversible collapse, was particularly vulnerable to this basalt melt and ocean upwelling heat forcing. For the glaciers there rested on a section of continental shelf well below sea level — extending scores of miles beneath the ice and on into interior Antarctica. As a result, newly undercut glaciers are flooded until they float, creating lift, reducing friction and rapidly speeding the glacier’s plunge seaward. Even worse, few sub-glacier ridges — speed bumps that glaciologists call grounding points — interrupt the more rapid flow of these glaciers once initiated. 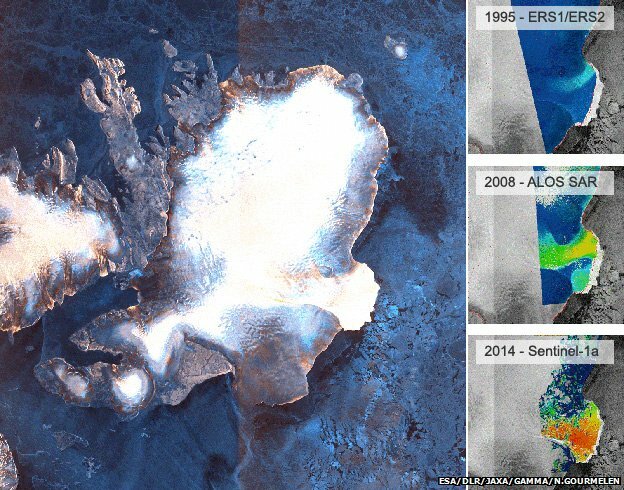 By earlier this year, a separate NASA study found that the Pine Island Glacier (PIG), one of the world’s largest glaciers and the most vulnerable ice sheet in West Antarctica, had entered a state of irreversible collapse. Now, the most recent study, led by glaciologist Eric Rignot at NASA’s Jet Propulsion Laboratory, finds that five of its fellows — Thwaites, Haynes, Pope, Smith, and Kohler — are following PIG’s lead. In other words, over the course of decades-to-centuries, these glaciers will disintegrate and slide into the sea until they are no more. Years from now, their names will be a distant memory, reminders of a faded and far better time. This year, the pace of new announcements for massive glaciers undergoing destabilization or irreversible collapse could best be described as terrifying and unprecedented. And each new announcement brings with it starker implications for both the ultimate pace and scope of global sea level rise. The amount of sea level rise to result from just the loss of the disintegrating section of West Antarctica described in the most recent NASA study amounts to at least four feet. 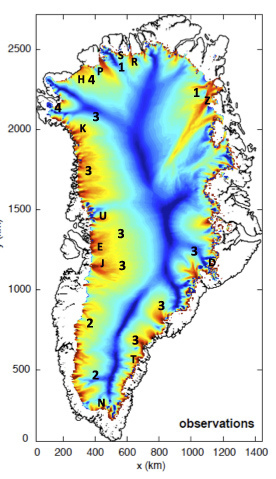 But looking around the world we also find rapid destabilization of more than 13 glaciers encircling all of Greenland with one, the Zacharie Glacier, featuring an ice flow that stretches all the way to the center of the Greenland ice mass. Recent studies also find that the massive glaciers of Baffin Island and the world’s largest ice cap — the Austfonna glacier on Svalbard’s island of Nordaustlandet — are all locked in an inevitable seaward rush. The total water composed in the moving and destabilized glaciers worldwide is now at least enough to raise world ocean levels by a total of 15 feet. But the inevitable loss of these glaciers tells a darker tale, one that hints that the 23 feet worth of sea level rise in all of Greenland’s ice and the 11-13 feet of sea level rise in all of West Antarctica’s ice may well be locked in to what is a growing daisy chain of explosive destabilization if human greenhouse gas levels aren’t radically drawn down. 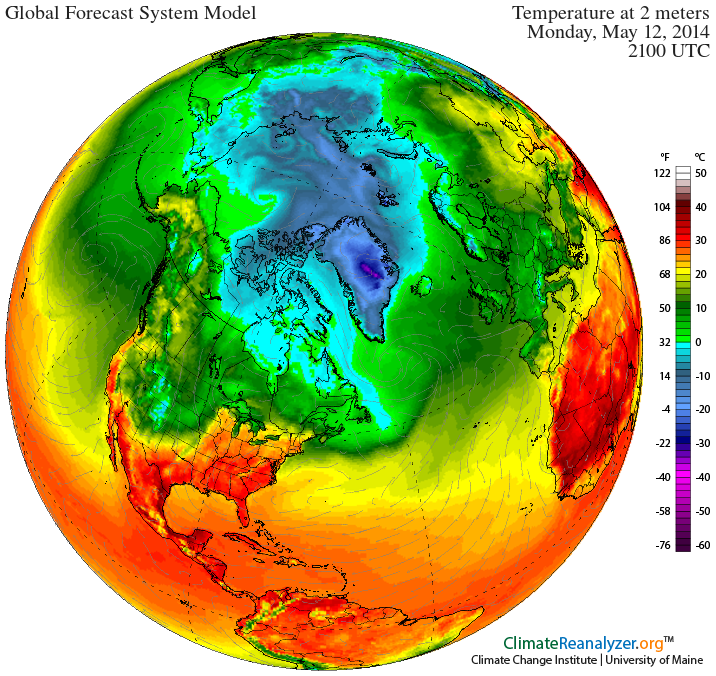 In continuing to emit greenhouse gasses, we make the situation ever worse by imposing a heightening heat pressure on glacial systems that will both speed their release and ensure that an ever growing portion of the Earth’s ice ultimately melts. The current forcing though both extreme and dangerous is small compared to the potential forcing should we not rapidly reign in the human emission. 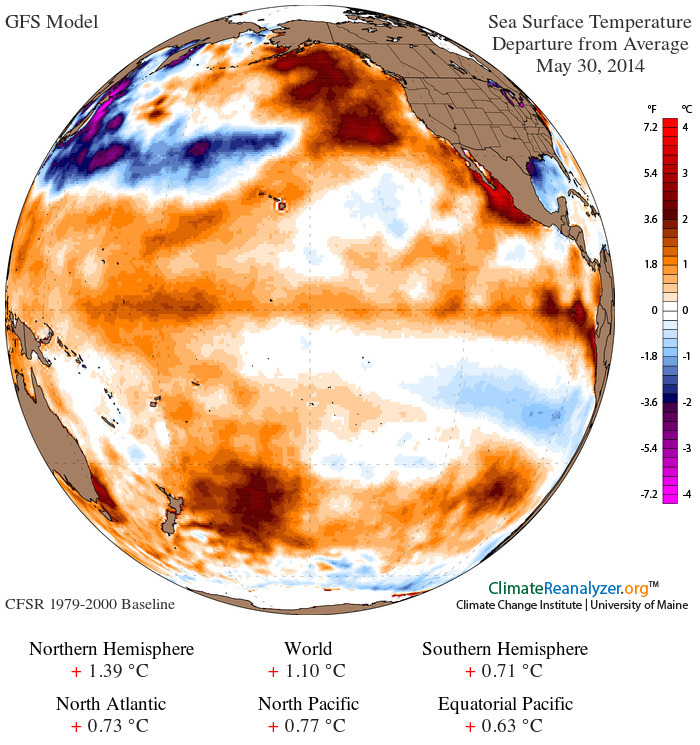 Extraordinary ocean surface temperature anomalies that spiked into the range of + 1.4 C above 1880s values and a continued progression of the Pacific toward El Nino began to take its toll in April. NASA GISS shows that global temperature anomalies hit 0.73 C above the 1951-1980 average last month, the second hottest in the record and just behind 2010’s +0.80 C reading. 2010 was an El Nino year and the most recent record-holder for hottest year in the NASA measure. So it appears all it takes is just a slight tilt toward El Nino, as we saw in April, to challenge previous highs. The global hotspot for the month again centered on the Yakutia region of Siberia stretching south into Mongolia and Northern China and north into the East Siberian and Beaufort Seas. Positive anomaly values hit as high as 7.9 degrees C above average for the entire month in this hot zone. 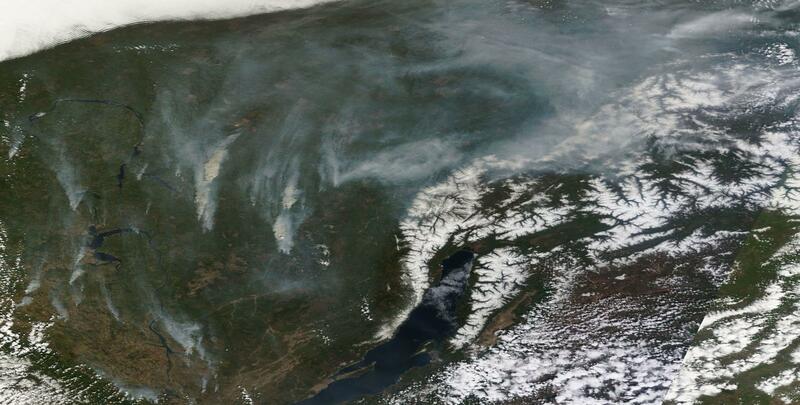 This was the same region that experienced anomalously intense wildfires throughout much of April and into early May with some fires burning along gargantuan fronts stretching 20 to 100 miles. Alaska, Europe, North Africa, the Middle East, Queensland and West Antarctica also displayed very warm readings in the range of 2-4 C above average for the month. Meanwhile, positive sea surface temperature anomalies advanced into the Eastern Equatorial Pacific during April, a clear sign that ocean heat was beginning to transfer back to the atmosphere. Negative temperature anomalies were confined primarily to the Hudson Bay region and to the High Arctic above 80 North in the Northern Hemisphere and in the Southern Ocean adjacent to Antarctica in the Southern Hemisphere. These cool zones were both small and isolated as most of the world experienced above average to well above average readings. High latitude zonal anomalies in the Northern Hemisphere fell off with the arrival of Spring bringing down high temperature anomalies that occur as a result of polar amplification due to human-caused warming and ramp up during late Autumn and early-to-mid Winter. 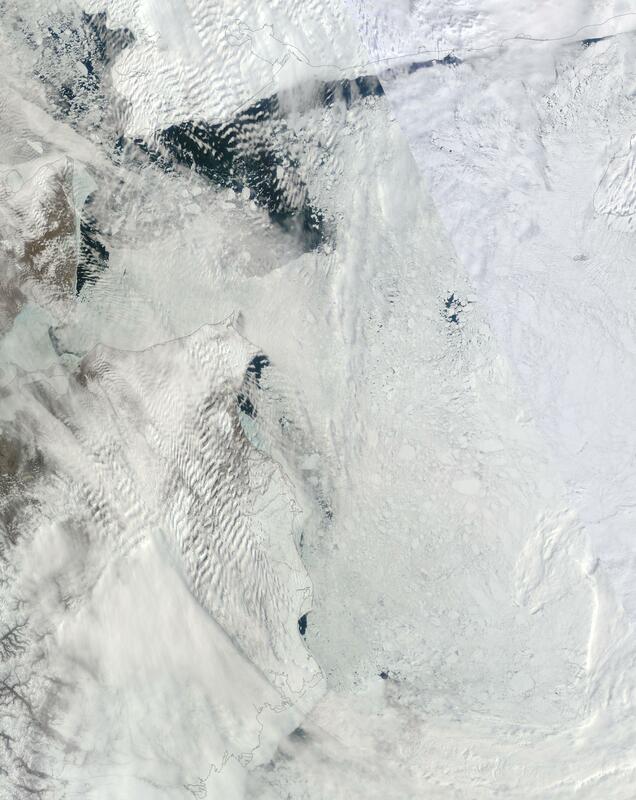 Cold air again retreated toward the pole where it will fight a battle with Summer heat over a diminishing ice cover. Warmth followed the cold retreat into high latitude regions, though, pushing heat anomaly values up to an extreme +2.7 in the region around 70 degrees North Latitude signalling the location of the warm-cold battle line for the onset of late Spring and early Summer. It is a line well north. 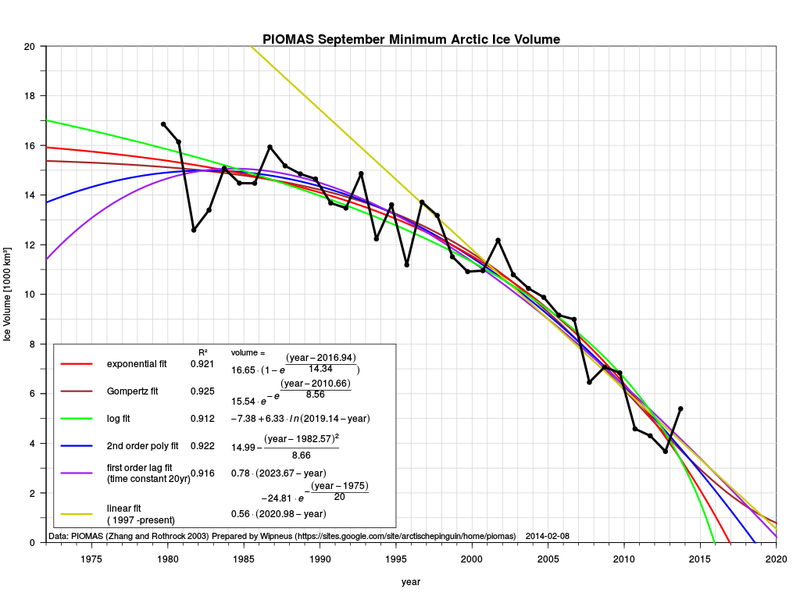 One that includes sections of the Arctic Ocean now experiencing early melt and/or sea ice break-up. With the onset of austral fall, polar amplification ramped up for the Southern Hemisphere with extreme low latitude Antarctica experiencing +1.45 C above average temperatures for the month. Following March’s +0.70 above average reading, April showed continued progress toward warming. And with May seeing further advancement toward El Nino in the first and second week, we can expect global temperature values are likely to keep rising. On May 10 global ocean surface temperatures hit a new extreme high for 2014 of +1.16 C above the already hotter than normal 1979-2000 average. This extraordinary temperature departure was driven in part by a warming of Equatorial Pacific waters to a +.59 C anomaly, putting that region in the range of a weak El Nino. Overall, global ocean temperatures show very high positive anomalies in all regions with the mid-to-high latitude Northern Hemisphere oceans showing an extraordinary departure in the range of +1.36 C. Heat of particularly high anomaly values remains concentrated in surface zones in the North Pacific south of Alaska and in the Barents Sea, which over the past few years has displayed excessive warmth after a near permanent loss of seasonal sea ice cover. Hot spots in this zone continue to show +3 to +4 C above average temperature anomalies contributing to sea ice recession and weakness in the region east of Svalbard and on to the Laptev Sea. An emerging Kelvin Wave off the West Coast of Ecuador has also created a high temperature anomaly hot spot in the range of +2.5 to +3.5 near the Nino 1 and 2 region. This expanding warm pool has been reinforced by broad area synoptic westerly winds counter to typical easterly trades which is pushing warm water toward the coasts of South and Central America. Overall Equatorial Pacific Ocean temperatures in central and eastern zones have ranged between +.4 and +.7 C above average depending on region. Though these temperatures are in the range of El Nino, they will have to maintain or increase for a period of two months for an official state of El Nino to be declared. It is worth noting that since the base-line for the GFS summary given above is in the 1979-2000 range, total departures from 1880 values are likely in the range of .3 to .4 C hotter, putting the actual global anomaly for the date at around +1.5 C.
In context, the swing toward a weak though still strengthening El Nino pattern is already starting to push global sea surface temperatures into or near the record range. We will continue to provide updates as the situation progresses. 8.83 inches. That’s the total average precipitation accumulation for the state of California so far for the first four months of this year. Out of the entire climate record, this paltry accumulation is less than that received during any similar period of any year since 1895. Overall, rainfall totals throughout the state remained below 26 percent of typical levels for this time of year. And with California entering its third year of drought, the state would have to receive an average of 53 inches between now and October, more than 10 inches of rainfall each month, to break the current and very extreme ongoing drought. As of late April, the drought had expanded to cover every corner of the state leaving not an inch of this critical agricultural region untouched. Drought continued to intensify, bringing with it water stress, cracked soil, crashing reservoirs and heavy strains to farms, businesses, cities and individuals. 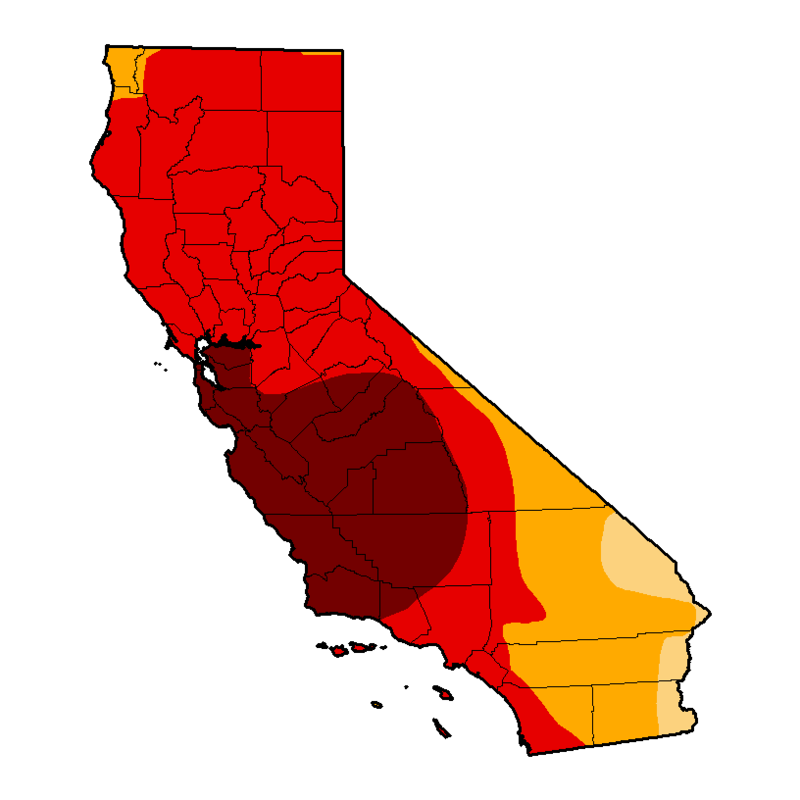 By May 6, fully 77 percent of California stifled under severe or extreme drought conditions. The drought has become so severe that water-strapped cities like Santa Cruz have resorted to the most dire measures, including rationing, to husband dwindling water supplies. Last week, the city, which depends on some of the most vulnerable and thinly-stretched water resources in the state, announced a number of severe fines to water consumers exceeding assigned usage levels. The fines could quickly double, triple, or even quadruple water costs for any non-farm water consumer within the city. Across the State, various desperate water conservation regimes have been put in place with the Federal Government announcing earlier this year that it would be forced to stop water allocations to farmers in an unprecedented move to stave off further declines in stores. Unfortunately, the persistent high pressure blocking pattern off the US West Coast, which has hovered in the same region for more than a year, remains in place even as it continues to deflect rain-bearing storms north toward the Washington and Canadian coasts. 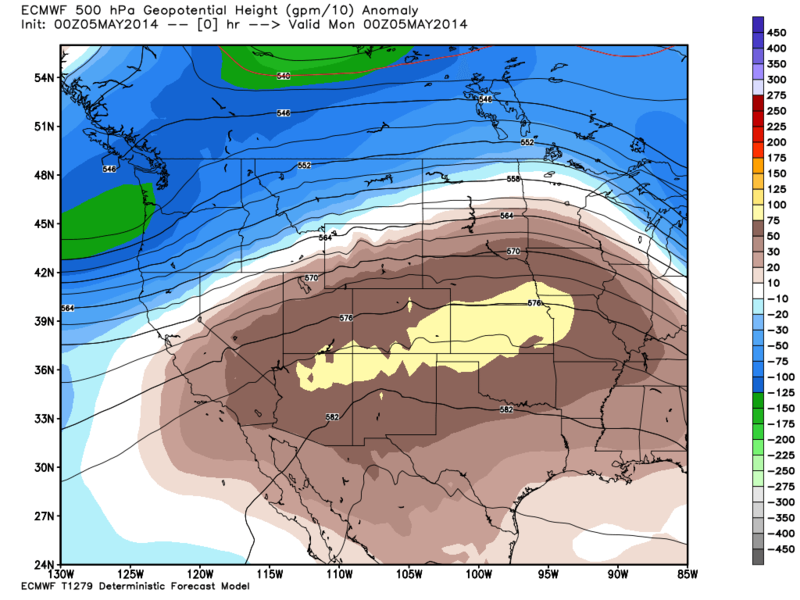 This pattern — arising from a set of abnormal atmospheric conditions including added heating through human-caused warming and a Jet Stream that has the tendency to become stuck more and more often as sea ice erodes — results in a high likelihood that drought will remain or intensify for California and much of the US Southwest throughout this summer. Climate Prediction Center analysis, shown above, projects that the current California drought will persist or worsen for the entire state through at least July 31rst. If relief does come, it will arrive many months from now. For the most likely chance for a change in the weather doesn’t appear until fall and winter of 2014. And this potential brings with it the risk for a radical switch to yet another damaging climate extreme. Yesterday’s report from NOAA indicating a near 80 percent chance of El Nino by the end of this year provided some hope for additional rainfall after what is expected to be a very dry and difficult summer. But given current atmospheric conditions, the El Nino event would have to be in the moderate-to-strong range to both overcome what is a demonically persistent blocking pattern and to deliver enough moisture to make up the severe rainfall deficit. Anything less would be too weak to cure the current drought. But something stronger may well kill the patient. Unfortunately, there remains a substantial risk that the 2014-2015 El Nino event could be a Godzilla of a thing — a monstrous outburst of the extreme ocean heat storage of the past 16 years that Dr. Kevin Trenberth has warned could well come back to haunt us. 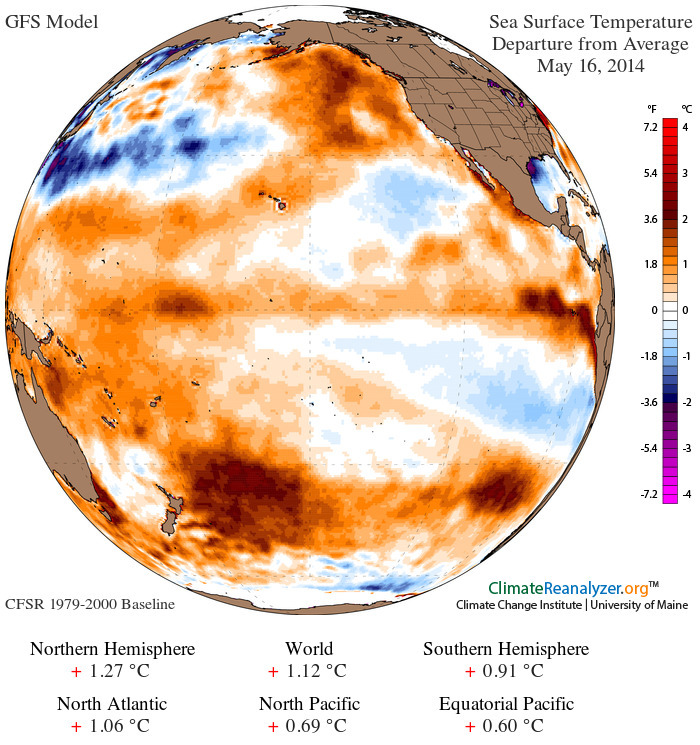 A record high ocean heat content that is out there, lurking in the Pacific Ocean even now. And it’s the potential that this heat will hit the surface with a severity rivaling or even exceeding the epic 1998 event that should well be cause for a different kind of concern. In such an instance, the onrush of heavy rains would be less a relief and more a switch from extreme drought to extreme flood. During the 1998 event more than 20 California counties were declared disaster areas due to the sudden deluge. But with human warming amping up the hydrological cycle by more than 6% and with such a large and vicious store of ocean heat waiting to be released, a severe El Nino at this stage might look more like an Arkstorm — an event which could dump many feet of rain over a period of weeks. On the other hand, if the El Nino fizzles into only a minor event and that massive ocean heat store decides to lay in wait for another year or two or three, California is much more likely to remain locked in a continued multi-year dry pattern. So the best California could hope for is to thread an El Nino needle and receive a just-right moderate to strong El Nino. But with the current climate regime favoring extremes, the possibility for such a just-right occurrence is quite a bit lower than either the Godzilla or the fizzle. In any case, both added heat and dryness are set to intensify over coming years and decades for California. 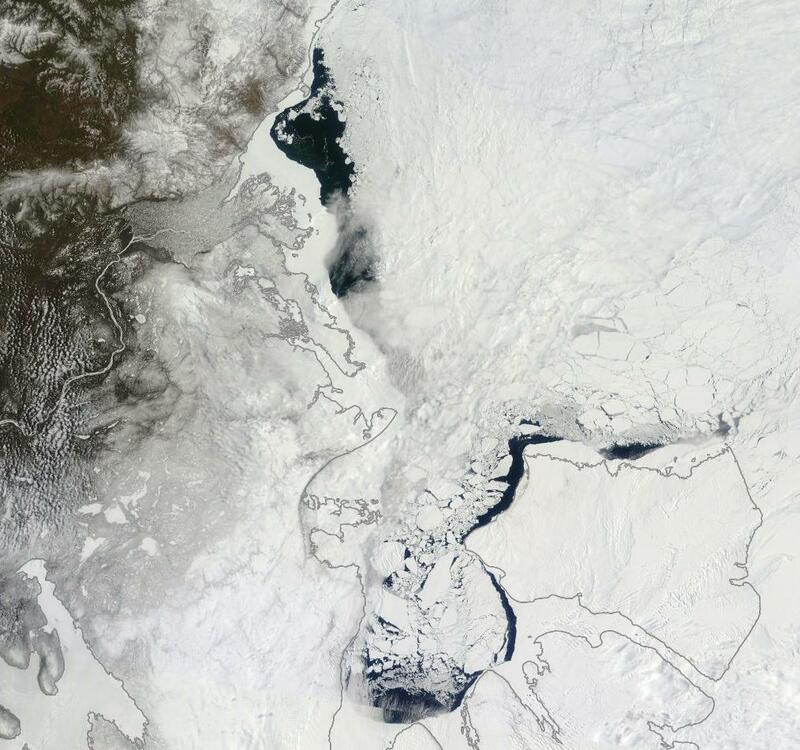 This ongoing ratcheting is the direct result of human-caused climate change. A result that will either be bad or terrible depending on whether or not we decide to rapidly reduce and eliminate our greenhouse gas emissions. It’s happening. The most powerful sub surface warming of the Pacific Ocean on record is continuing to progress into the Eastern Pacific even as it rises toward the surface. As a result, risks for the emergence of El Nino during 2014 are spiking together with the potential for a host of global weather extremes. Over the past month, trade winds remained weak even as west wind back bursts continued to push against the trades along the Equatorial Pacific. Moderate west winds emerged during mid-to-late April northeast of the Solomon Islands while cyclonic lows produced sporadic west winds in the Central Pacific. By May, consistent west winds were blowing over a large section of the Eastern Pacific. Upper level easterlies had also emerged reinforcing a general pattern toward El Nino development. As of May 3, 2-3 C above average water temperatures had hit the surface of the Eastern Pacific and 3-6+ C above average temperatures lurked not far below. The result of this rising warm water pulse was above average sea surface temperatures across the entire Equatorial Pacific with anomalies for the broader region hitting +.62 C on May 8th, 2014. It is worth noting that for El Nino to be declared, Equatorial Pacific water temperatures in the mid to eastern Pacific must remain above +.5 C for two months running. And, at this point, conditions appear primed for just such an event. These clear ongoing trends have resulted in yet one more upgrade of El Nino potentials by the Climate Prediction Center (CPC) this week. Chances for El Nino in the current three month period of May, June and July have now been adjusted to about 55% with probabilities continuing to rise throughout the summer and fall. Peak chances for El Nino, according to CPC, are now just shy of 80% by October, November and December of 2014. All values now show a very high degree of certainty that El Nino will emerge exceeding even the high confidence predictions provided last month by both NOAA and Australia’s Bureau of Meteorology (BOM). The model predictions of ENSO for this summer and beyond are indicating an increased likelihood of El Niño compared with those from last month. Most of the models indicate that ENSO-neutral (Niño-3.4 index between -0.5°C and 0.5°C) will persist through part of the remainder of the Northern Hemisphere spring 2014, most likely transitioning to El Niño during the summer. While ENSO-neutral is favored for Northern Hemisphere spring, the chance of El Niño increases during the remainder of the year, exceeding 65% during the summer. 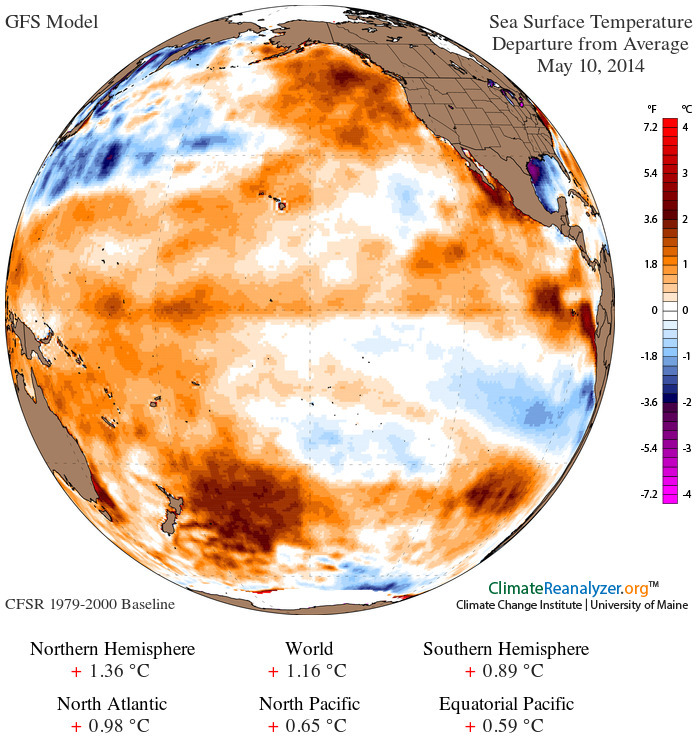 It usually takes until Fall or even Winter for a typical El Nino event to emerge. When El Nino comes early — by late spring or summer — risks increase that the event will be far stronger than normal. In general, such events are thought to be preceded by very strong Kelvin waves like the one we’ve witnessed since January. Many Ocean researchers such as Dr Wenju Cai, a climate expert at Australia’s Commonwealth Scientific and Industrial Research Organisation, now consider the ocean to be primed for such a strong El Nino event. With the world’s weather already pushed to extreme states by human warming, the emergence of a strong El Nino would likely have increasingly severe consequences. Weather events at both the flood and drought extreme would be further amplified as a portion of hottest ever Pacific Ocean heat content transferred back to the atmosphere. This transfer would push a hydrological cycle already amped by more than 6% due to human-caused warming to a greater extreme. It would also likely result in new global high temperature records worldwide as a Pacific Ocean that had sucked up so much of excess human warming during the past decade and a half again becomes a major heat source.